We’ll say it again, because it’s hard to imagine. 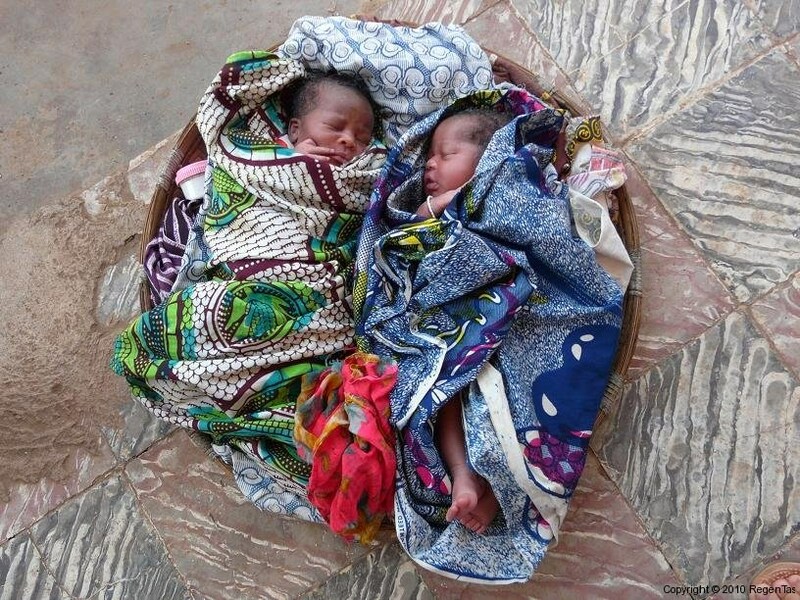 Every two minutes a woman dies because of her pregnancy or childbirth. Often, her baby dies as well. And twenty times as many women encounter serious complications on their road to motherhood, both physical and mental. It’s bitter, but hopeful at the same time, that 90% of those deaths and complications could be prevented. Better access to health care combined with well trained professionals makes a world of difference. That’s why midwives4mothers helps to develop strong midwives around the world. Because they are the foundation of good maternal health care. All women, wherever, have a right to great midwifery. 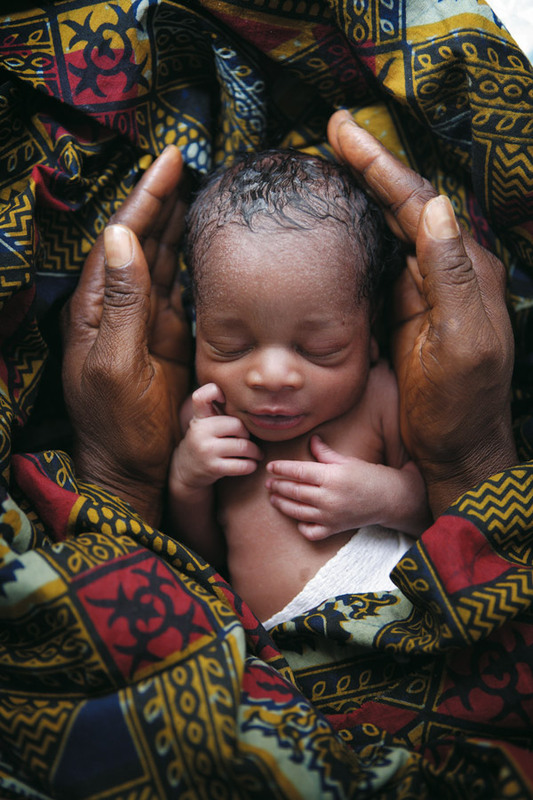 99% of deaths of new mothers are in developing nations. But even in the richest country on earth, the United States, their death rate has almost doubled in the past 25 years. 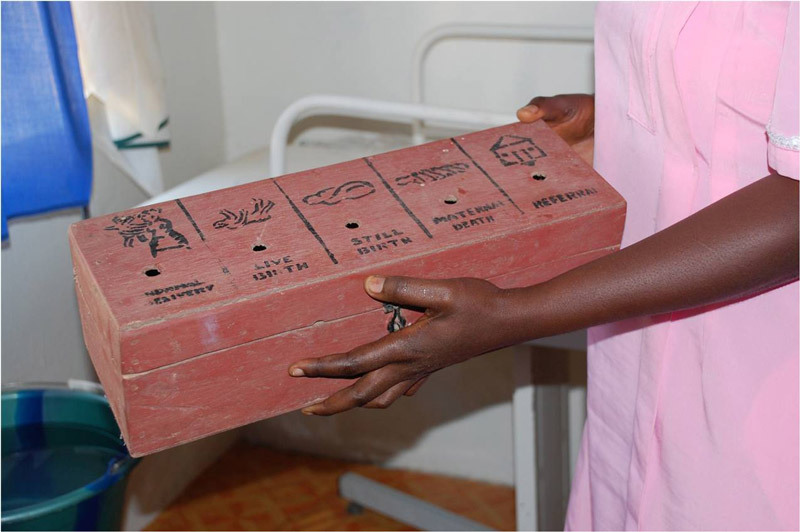 With this box, Sierra Leoneans in remote areas register birth statistics. After every birth, one or two stones must be put in the right compartment. From left to right: normal birth, live birth, stillborn, maternal death, referral. Something that’s not self explanatory yet, because, “what does that rock have to do with a baby or a mother?”. Read more about our twinning projects in Ghana, Sierra Leone, Ghana, Iceland and The Netherlands. We set up a group of midwives from different cultures or countries. One on one. We call it twinning. The midwives become each other’s ‘twin sisters’. 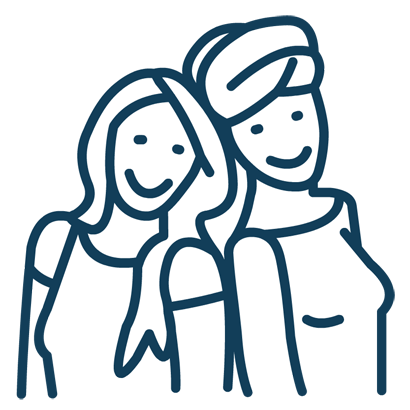 They learn from each other and develop together into a tight knit couple of top midwives. They make the difference to hundreds of women on a daily basis, by helping them as their midwife. But it doesn’t stop there, the story goes on. Because these colleagues transmit their knowledge and wisdom at schools, to help future generations of midwives reach a higher level. They inspire the midwives around them. They are going to reinforce their professional association, so that midwives can do their jobs with a solid foundation. They take a role in policy making, at governments, hospitals and international organisations. In short, they become midwifery leaders. And we’re not afraid to say that they will impact the lives of thousands of mothers and babies, both directly and indirectly. That’s how our twin projects spread their value. As soon as the first push is there, the effect grows and grows. Will you donate to give that first push? Do so today, for the biggest impact! With your gift you become a part of our dream for the future. A world with happy mothers and babies. Want to learn more about twinning? 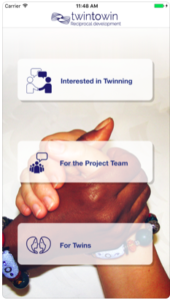 Would y ou like to know more about the twinning proces? Or would you like to take twinning on in practice? Within your profession, organisation or company? Download dan de gratis twintowin mobiele applicatie voor Apple of Android, beschikbaar in het Engels en het Frans. 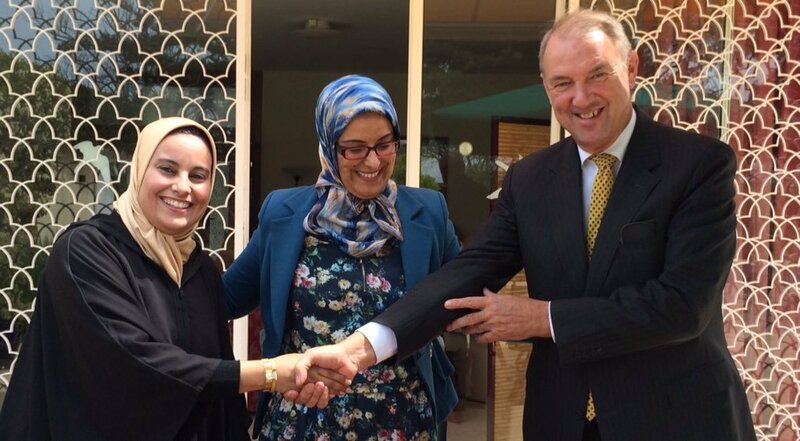 A great result for twinning: Morrocan midwives meet with the Dutch ambassador to Morroco. Safe motherhood is no longer just about the problem of ‘too little, too late’, leaving some women excluded from maternal health care or with insufficient care. We’re also starting to understand the problem of ‘too much, too soon’. More and earlier interventions take place around child birth. This doesn’t affect the outcome for mother and child positively, it might even lead to physical or psychological damage. This is a trend we see in all countries. The Netherlands still holds a unique position with for example the lowest percentage of c-sections in the western world. But even in this country the number of induced labours and artificial births is on the rise.